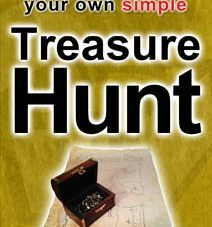 A simple guide to making a treasure hunt around your home. 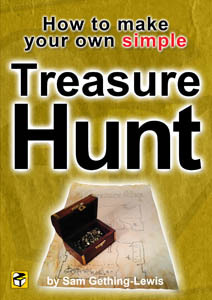 Includes making a great old looking treasure map. 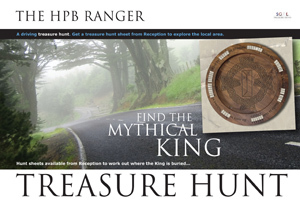 This is a guide to creating a great treasure hunt for your home, which can be adapted for your town, park or even your holiday. You’ll learn how to create a number of different clues, pick a theme as well as how to make an authentic looking treasure map. All you’ll need is a couple of household objects, some willing pirates and of course – some TREASURE! 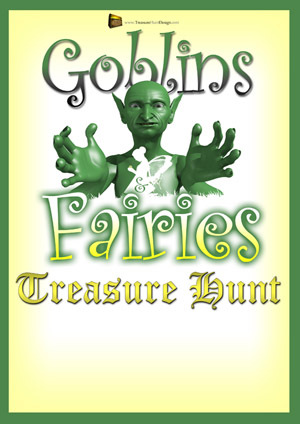 The brilliant treasure hunt that you create is limited only by your own imagination, kids’ party, hen do or team building event. Order now in Kindle format on Amazon. Order now in PDF format on Smashwords. The book includes a pirate dictionary, ideas for other clues and alternative themes for only $2.99. 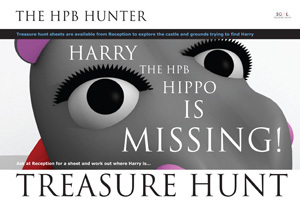 If you would like a professionally organised large treasure hunt then please get in touch with Treasure Hunt Design. 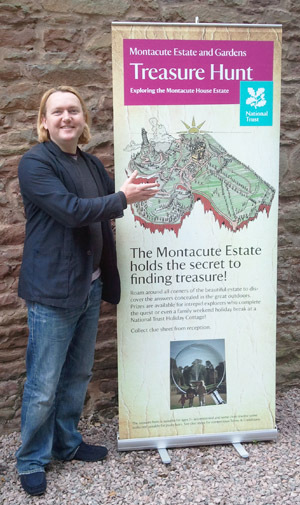 In order to secure a successful treasure hunt, a key part of the publicity has to be the signage leading up to the event. The first and easiest is to have a pop-up banner in reception for all your existing clients to get the message. The beauty of a pop-up banner is that they are quick, convenient and can convey a great deal of information fitting in with your brand. The next is to arrange to have road signage leading to the event. Remember to keep the details to an absolute minimum as you only have a fraction of a second to get the message to the motorist. 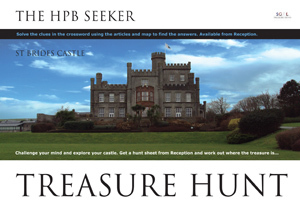 Finally posters and leaflets promoting the treasure hunt event are a real boost. Make sure they are eye catching and appealing to your target audience, positioned where they are likely to be lingering. 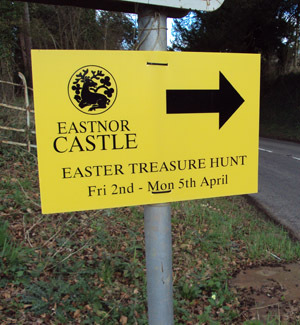 If you would like a treasure hunt event, or professional signage for an event designed and produced then the very first thing you need to do is get in touch!